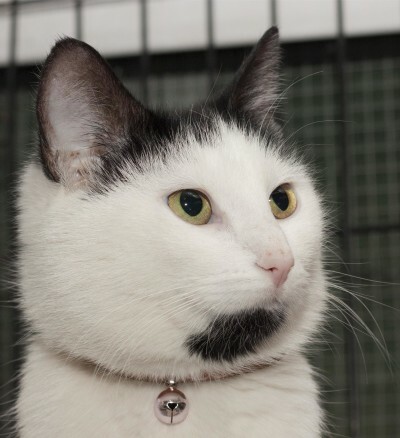 Noel is an independent, free-spirited DSH who was left at our door over the Christmas holiday wearing nothing but a pink collar with a bell. Although we may not know her backstory, we do know that she has blossomed into friendly and sweet kitty who enjoys a good rub chin now and again. 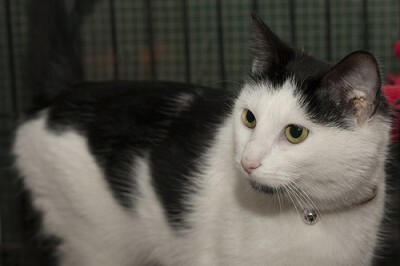 Noel would make a wonderful, quiet, gentle, and loving companion. Noel was adopted on Tuesday, July 1st. She realizes how very lucky she is, and promises to be a very good cat to her adoptive family.